CS-Cart App integration is really easy with your CS-Cart Webstore. 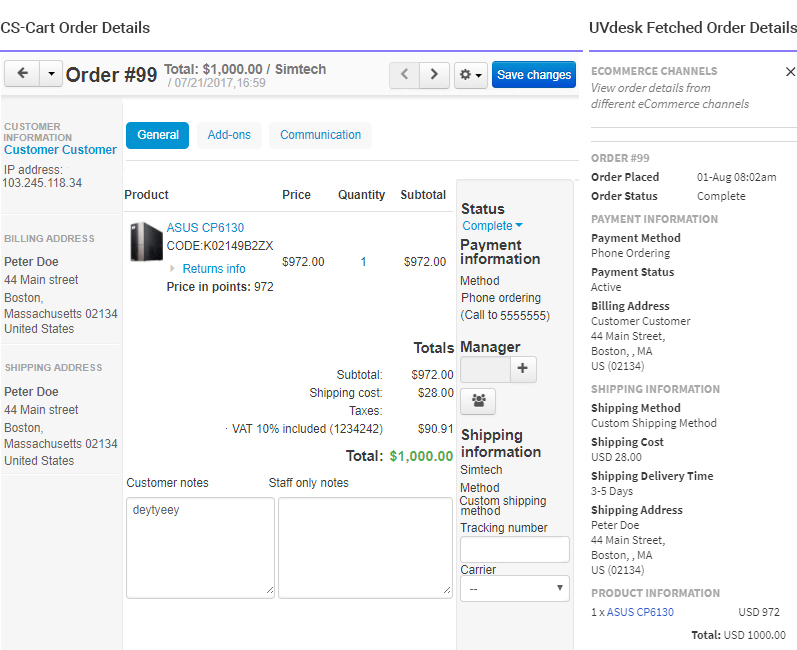 Just a few steps and then you are ready to fetch the order related details from your CS-Cart Store to Ticket System. On the Dashboard, you will see "APP CENTRE" menu and under it, you will find "CS-Cart App". Click on that button and CS-Cart App will get installed. Alternately, for uninstalling the app, go to CS-Cart App "Overview" section then click on Uninstall button. 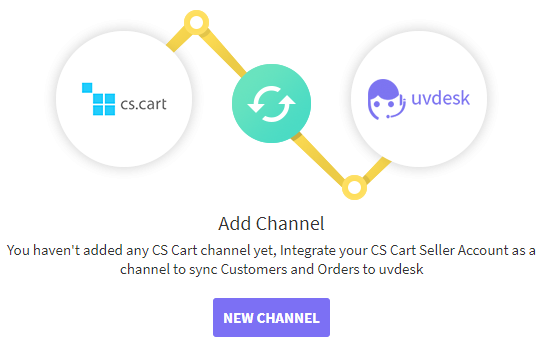 Now go to the "Configure" tab and click on "New Channel" to add new CS-Cart App Channel in the UVdesk. For adding the channel enter Name, Website URL, Email & API Key. 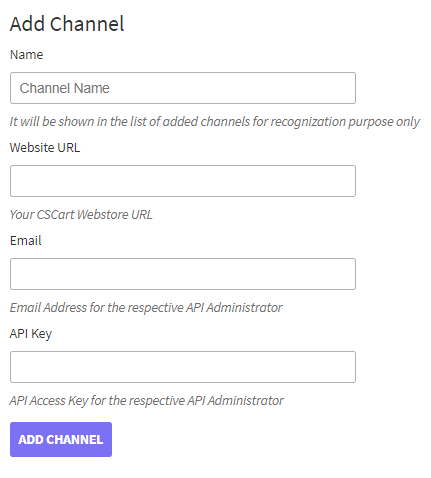 Now, log into your CS-Cart admin panel and then follow the steps for the API Key. Once logged in successfully, go to Customers -> Administrators. Select an Administrator account and edit their profile. On the Edit Profile page, select API Access and check the "Yes, allow this user to use the API" checkbox. You'll then be presented with an API Key for the selected user which will be needed to connect with your store along with the respective user's email for whom the API Credentials has been generated for.